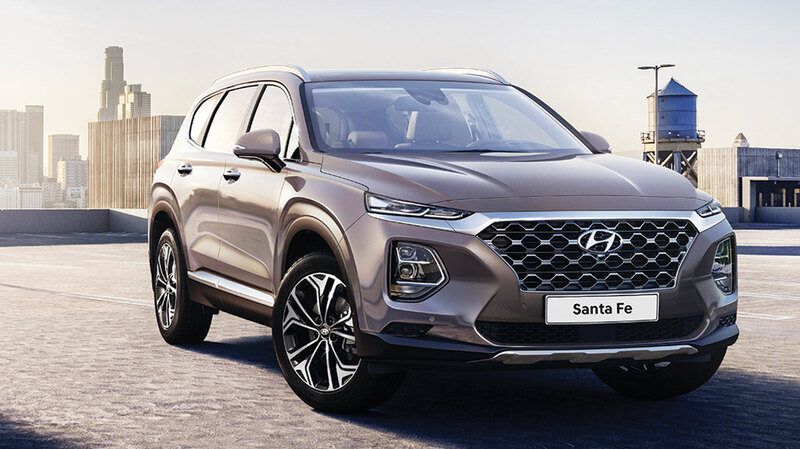 Hyundai Motors Nigeria has joined renowned markets in Europe, North America and the Middle East as it premiered the fourth generation Santa Fe mid-size SUV that incorporates Hyundai first AWD–HTRAC, an electronic all-wheel drive system that tracks vehicle speed and road conditions. Also incorporating a newly adopted 8-speed automatic transmission with cutting-edge powertrain and maximized fuel economy, the Santa Fe continues Hyundai fluidic design tradition that typifies cascading three-dimensional honeycomb patterned radiator grille and a separated-type composite-light. 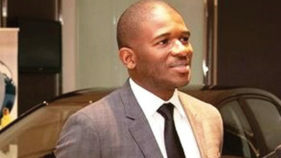 The arrival of the all new family SUV, dubbed “the lifetime partner for SUV customers who value balance between work and life,” coincides with Hyundai budding accomplishment as the foremost selling passenger-car brand in Nigeria, the company Managing Director, Parvir Singh told journalists in Lagos, at a media preview of the car. Emerging from a makeover in 2017 with a slight front-end adjustment, the 4th generation Santa Fe is as it is a quintessence of deluxe with a new front-end, reshaped front bumper and new LED fog lights that is standard across the entire line-up. The side profile with tough side volume and wheel arches are connected to a stable designed rear bumper to create a progressive SUV image and character line that stretches along the body panel from the headlamp to the rear to add dynamism and strength to its silhouette. 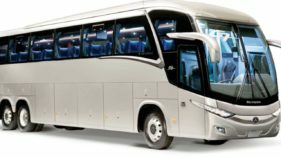 This is in addition to the new flag-type outside mirrors applied to the outside A-shaped pillar to enhance side/rear visibility and express strong exterior appeal. At the rear end is a high-tech lighting image achieved with 3D-type LED rear lamps graphics and a bold proportion that creates a stance full of confidence. Head Sales and Marketing, Hyundai Motors Nigeria, Gaurav Vashisht, who gave these hints in his presentation said the vehicle’s cockpits adopts well-heeled SUV ideals with a shield-shaped control hub flanked by big air vents and undulating dash, dipping low in front of passengers and bubbling up for gauges. He said the center stack with large control knobs and audio volume are so intuitively arranged with a larger (7-inch TFT LCD) touchscreen and electroluminescent gauges to add an aura of conviviality. 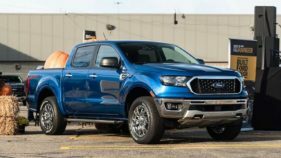 Also worthy of note is the windshield-type head-up display, which was applied for the first time to provide safety and convenience by minimizing movement of eyes during driving by projecting main vehicle information on the front windshield, Mr. Vashisht said. The Santa Fe’s seat design optimization with an 8-way adjustment function astonishingly uses electric tilting type cushion to enhance thigh support, making driving a cinch for for tall drivers. Styling isn’t the only reason to seek out the Santa Fe. Hyundai has equipped the new Santa Fe with cutting-edge drivetrains that assures on powerful performance and maximized fuel efficiency. They include the new Thetta II 2.4MPI, which churns out MAX Power 172PS/6000rpm and Lambda 3.5MPI V-6, producing 280PS/6300rpm and mated to a 6-speed and 8-speed automatic transmission respectively. R-MDPS is a power pack module which integrates motor and ECU to reduce weight and improve efficiency. The technology also provides stability to the vehicle at high-speeds and ensures precision as well as speedy response at low and medium speeds. Developed under the driving concept of stability and comfort, the all-new Santa Fe offers comfort ride and handling characteristics through stable body behavior, especially when the Santa Fe’s electric power steering with any of the three selectable modes – economy, normal and sport is applied. Switching the steering to Sport, for instance, adds weight, and helps it keep better in line on highways. And with a front strut and rear multi-link suspension, the Santa Fe makes a good compromise between its calm, quiet ride and rear cargo space. The Santa Fe’s biggest edge here is its length. A truly family companion, the Santa Fe is designed with a three-row seat with ample cabin that surrounds the front passengers with all kinds of space. The Second-row equally has it pretty good as the third row seat. The Santa Fe has performed very well in crash tests. Hyundai claimed it earned a 5-Star rating in EuroNCAP overall, 5-Star in Australia ANCAP overall, and Top Safety Pick+ (2018) with Good in small overlap in North America IIHS. That’s not all. The vehicle’s Safe Exit Assist (SEA) features electronic child safety lock and Rear Occupant Alert (ROA). If for instance a driver tries to exit the vehicle unaware the child is inside the car, the system inadvertently gives out alerts. This ultrasonic sensor operates 24 hours after starts and is mounted on the third row heading. The Smart Cruise Control (SMC) devise maintains a pre-set distance to the vehicle ahead and where it is unheeded, the system reduces the speed and even stop the car until the vehicle ahead proceeds and when the system also detects a vehicle in the blind-spot, the Blind-Spot Collision Warning (BSCW) emits visual and audible alerts, just as the Blind-Spot Collision Avoidance Assist (BCA) offers active avoidance maneuver.